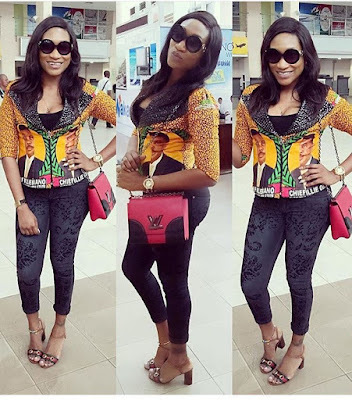 Talented actress, Oge Okoye visited her state, Anambra State and wants us to see what she wore there. 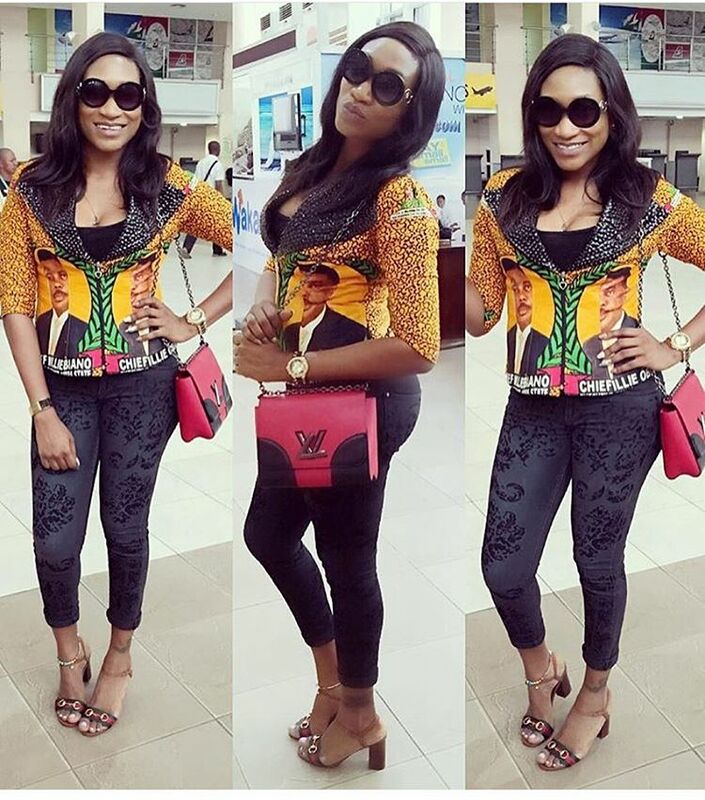 She is rocking the face of her Governor, LOL. I think she is looking stunning as well.